I know from my journey the struggles of shifting or changing old ways was not always easy, You have to change your MindSet as well. Learning and accepting that some of my old habits are not working for me and shifting your Mind to eat the Healthy Food, go for a walk etc. is a battle within yourself. You have become custom to your current lifestyle and it's easier to make excuses than to get up and do something. In order to change you need to be aware. Once you are aware you make a choice. With choice, action's take place. With actions come results. If anything I would encourage to take one small step. A subtle change that is not even noticeable to your routine. Change the soap you are using while bathing. 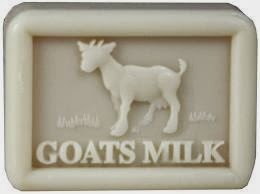 Go out and try Goats Milk Soap. Here are some links to some Goats Milk Products and literature. I have found with all my research on the internet and visiting doctor's that I needed to approach this focusing on 3 Layers. These 3 layers is the foundation to how I recovered my natural balance and found freedom from this so called disease. The Three layers are vital to ensure you are maximizing your recovery. If you keep in mind the 3 layers every day you will be on the right path to freedom. The Journey is not an easy one. There were some hard times but I was persistent and believed. The very first thing that must be done is to decide for yourself that you are ready to be free. Write yourself a note and put it in your wallet or pocket or purse. "I am going to beat psoriasis" sign it and date it. When the going gets tough you can look at this note to remind yourself of your goal. If you are interested to learn more feel free to contact bringbacknaturalbalanace@gmail.com Below I provided a free not too long article going into more details about the 3 layers. The 3 Layers each utilize a combination of Food, Drink, Topical application. Everybody is different, what worked for me might take longer to work for others so be patient. It took about 1.5 months to notice a change. It took 5 months to see some drastic improvement. Once you see the improvement you will become excited as you are starting to feel freedom. Why do I have this? How did I get it? What do you mean I have to live with this? If you have asked yourself these questions, you are not alone. Here I will give you what I have done to clear my psoraisis. If you made the choice to break the psoraisis cycle read on as I have put together my ideas and knowledge on how I managed psoriasis naturally. I feel that the knowledge I gained I can share with others in hopes you too can be free. What I did to bring back the natural balance in my life. I am not a doctor but just a person dealing with Psoriasis. It helped control and clear my psoriasis. I am sharing this in order to help anyone else who has made the choice to bring back their natural balance and break the psoraisis cycle.